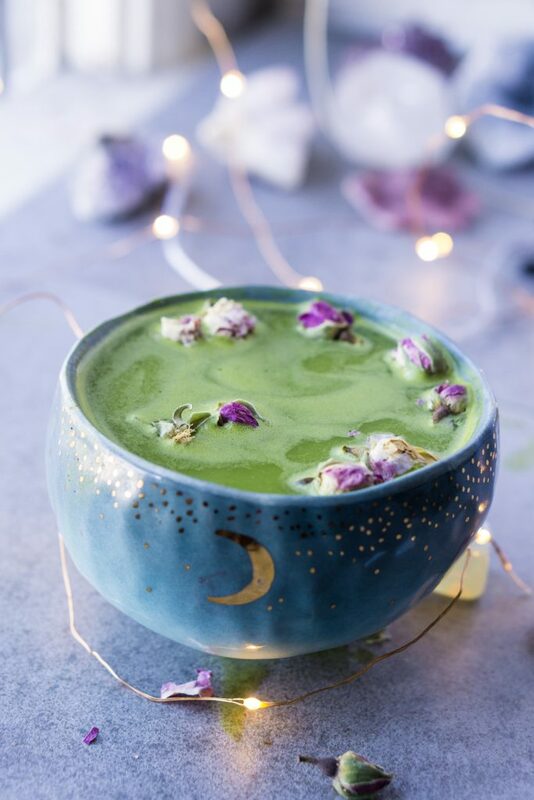 Here’s my Magical Daily Matcha (dairy-free, paleo, & keto)! If you watch my Instagram stories you know that drinking Matcha is in my everyday routine. 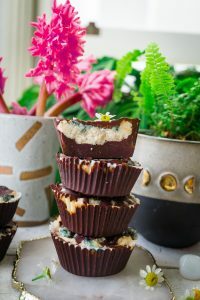 I’ve been getting requests for the recipe I use so here you have it! 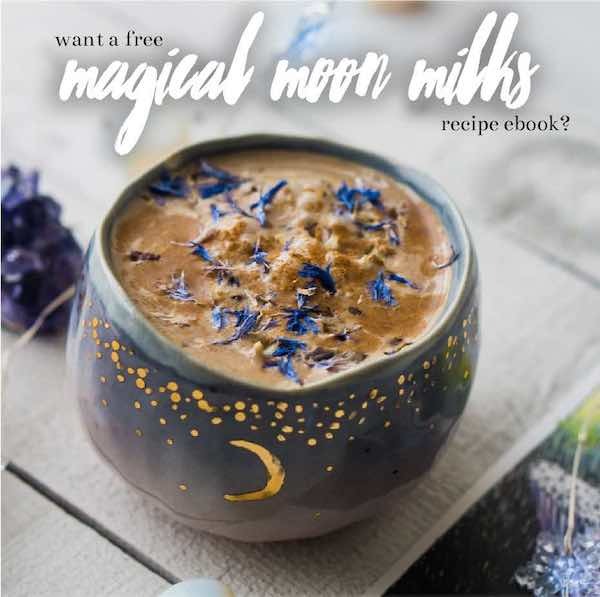 It’s the potion where I add in all of my adaptogens and CBD oil. Now let me be very clear you DO NOT have to have all the fancy adaptogens or CBD oil to enjoy matcha every day. 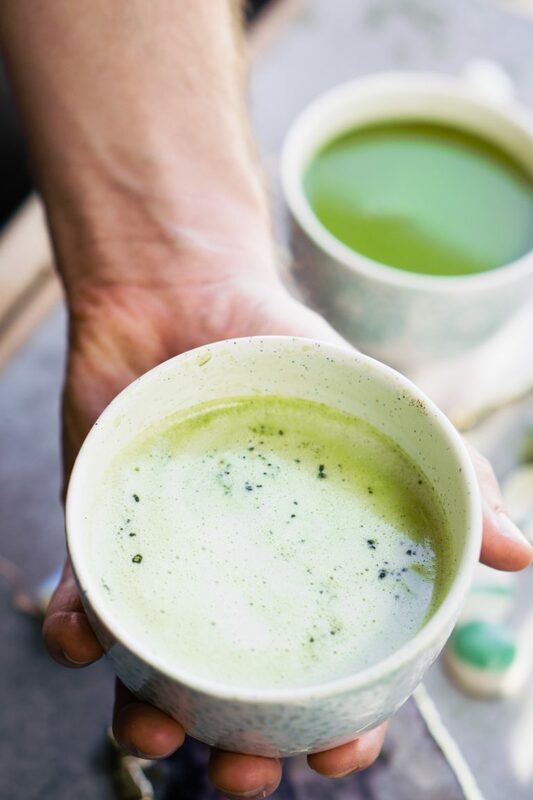 The adaptogens are optional and you can make a delicious matcha potion with only matcha, water, milk & sweetener of your choice. 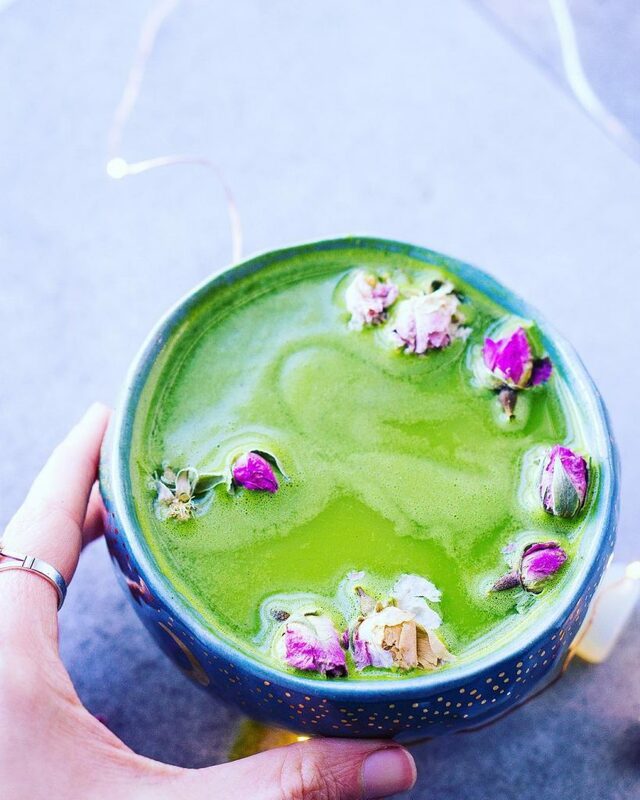 These adaptogens & additions definitely won’t hurt, they only make the potion more magical! But, once again I am no doctor. Therefore I can only explain the reasons why I use the adaptogens for additions. If you are close to me or have been following my journey, you know I struggle with digestive issues, adrenal function & high anxiety. Everyone is different, but for me, this potion really makes a difference in my mood and energy every morning & making it literally feels like a magical ritual. Almost like a blessing to myself and loved ones. Today I am only going to break down the benefits of Matcha. I do use CBD oil but won’t dive into its benefits as it is literally a post in itself. But… if you are wondering if it has helped me with the things I struggle with, the answer is a wholeheartedly yes. Personally, I have noticed a significant change in my anxiety, digestion & mood when I make it. I’ve also asked my Naturopath about taking CBD oil daily and he was a huge fan. From my experience, the CBD oil has only helped and no side effects! Drinking coffee has never been a thing for me as I feel all jittery off the caffeine – no joke, literally heart palpitations! Therefore Matcha is the most magical potion that I truly love to add to my morning routine. I hope they will be apart of yours as well. 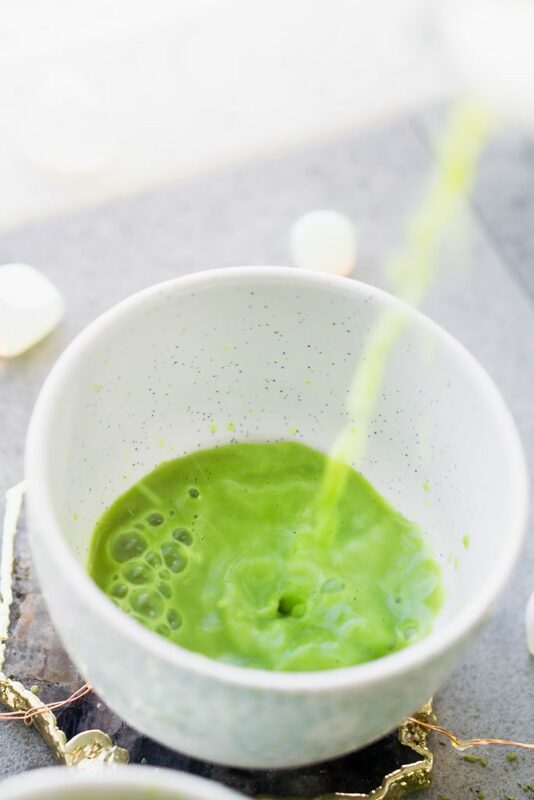 Ippodo Matcha – Balanced: Holy moly this blend has to be one of the top choices, is it so soft and smooth with a delicious taste. It was the closet Matcha brand I could find that tasted like a jar of matcha that one of my best friends brought me from a small farm in Japan. Let me tell you how stoked I was to find something similar and with such a potent quality. 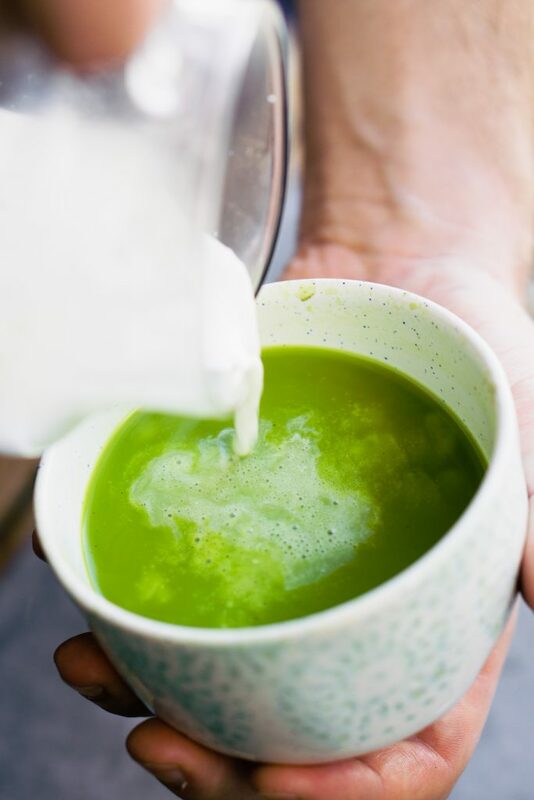 Mizuba Daily Matcha: I found this blend while going to a coffee shop in Costa Mesa, CA called Portola Coffee Roasters. They serve Matcha Lattes and I was lucky enough, that they sell this brand as well. I also read about the brand from Alison Wu. I love their story that they are a small company out of Portland with a great small farm source from Japan. 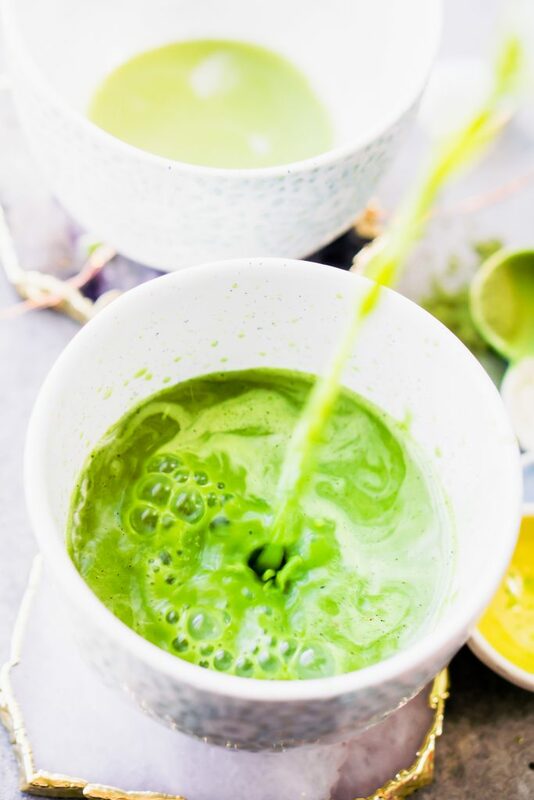 This blend is more of my everyday Matcha as it is incredibly smooth and yummy with no compromise in flavor. Also a great price point! I am starting to try many other Matcha brands and would love to try any others that you recommend! 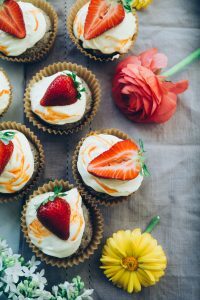 If you are not sugar-free feel free to use honey or coconut sugar – I would start with a teaspoon of honey and add more to taste if you desire. You can also use stevia if you do not have raw monk fruit on hand. P.S. I also really have to credit Lee From America & Alison Wu for inspiring me while reading their posts. 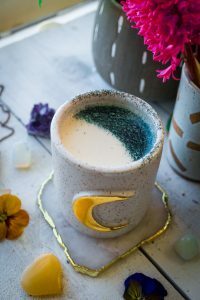 If you want even more matcha inspiration they are a great resource! something to warm your water in. start to warm your water. start to warm your water but do not let it get past boiling. I warm mine to be 180/195 degrees if it gets any hotter it will burn the matcha and will taste very bitter. using a bamboo wisk to sift out any matcha chunks into your blender or cup. pour the hot water into the blender or cup you are using if you don’t have a blender you can use a milk frother or whisk to combine. add in the additional ingredients.